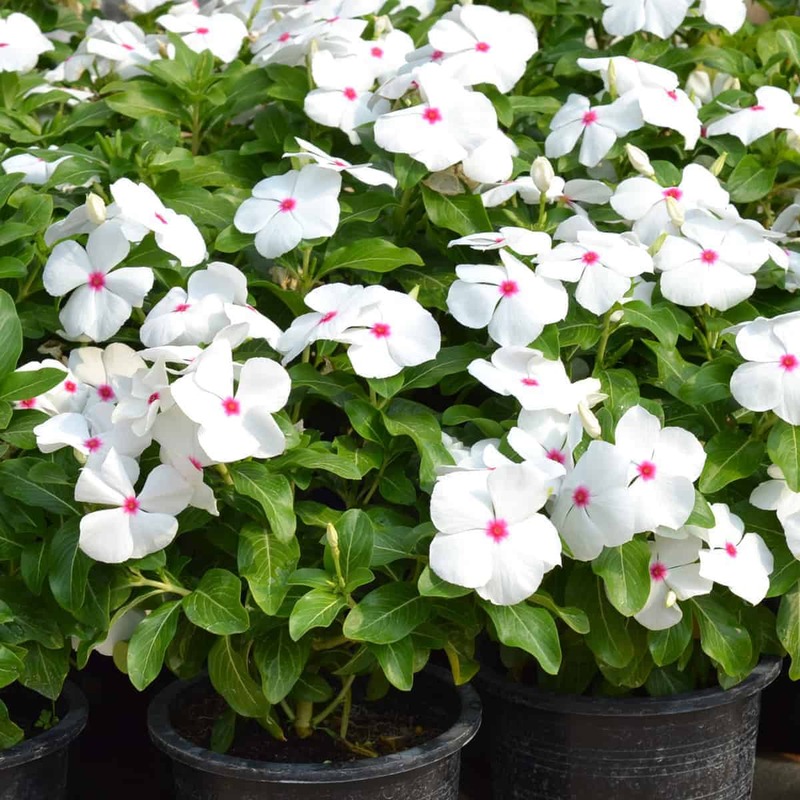 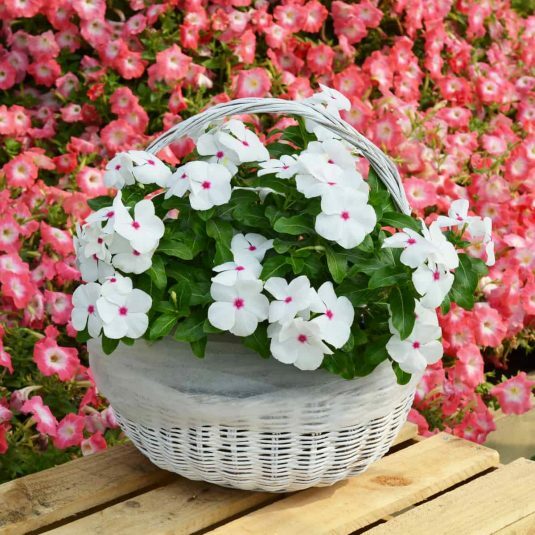 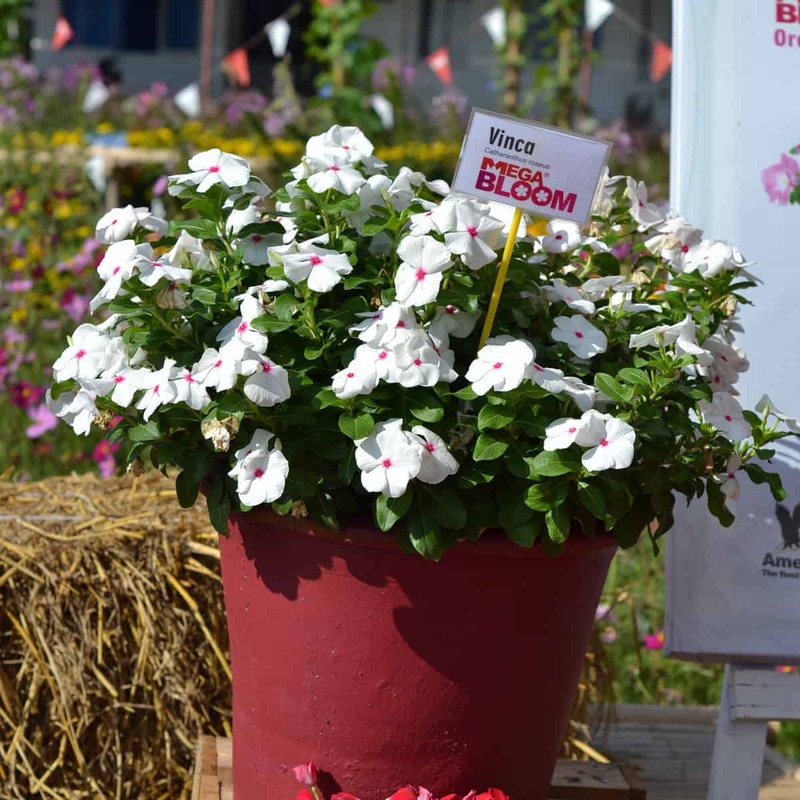 The hearty Mega Bloom vinca series has been bred to withstand heat and humidity without succumbing to disease. 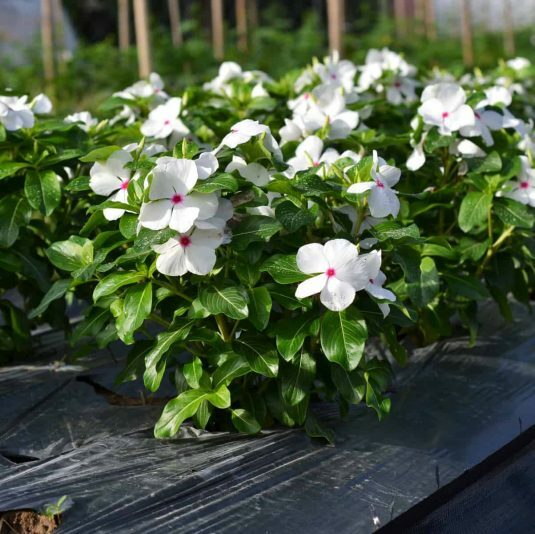 Polka Dot excels in that area plus sports huge showy flowers on full, vigorous plants that stay tidy and compact. The leaves of Mega Bloom Polka Dot stayed a healthy green all season resulting in large healthy plants all summer until frost. 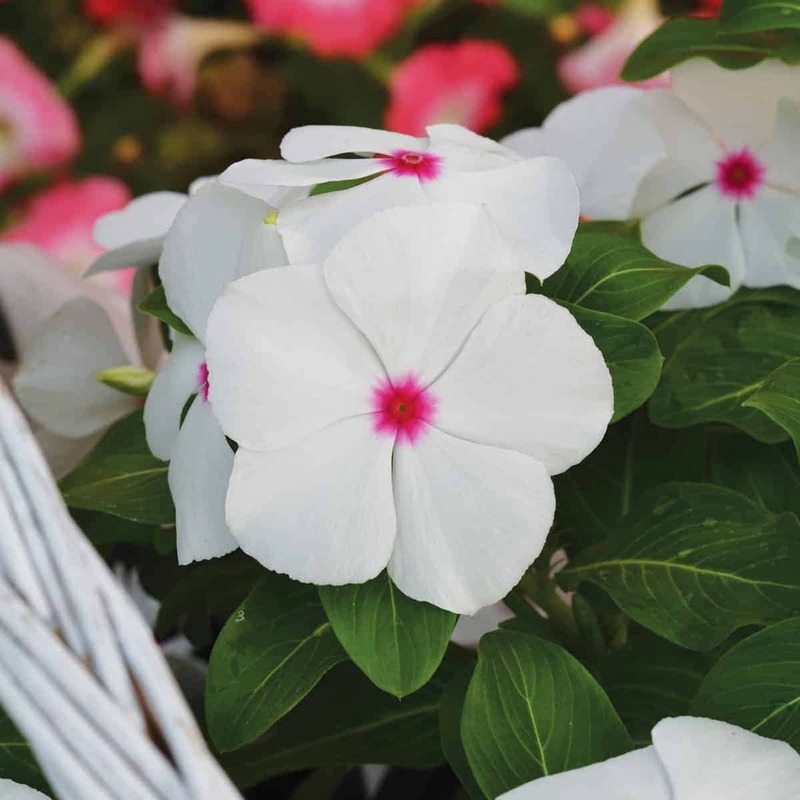 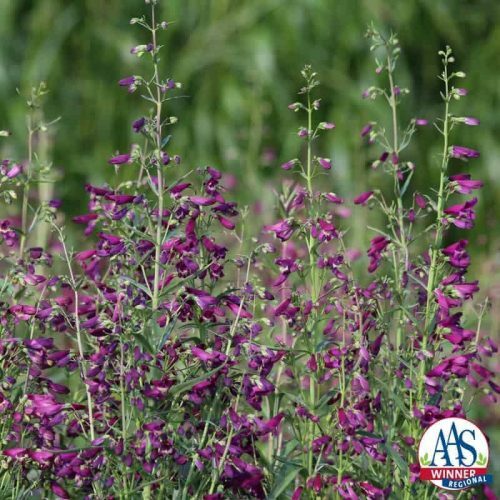 Each large bloom (3-4”) has attractive overlapping petals in snowy white with a bright pink eye. 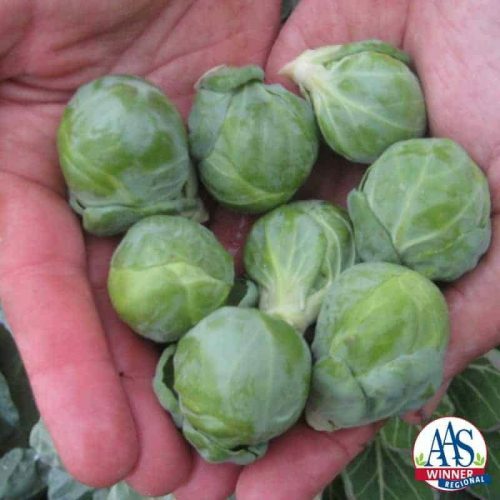 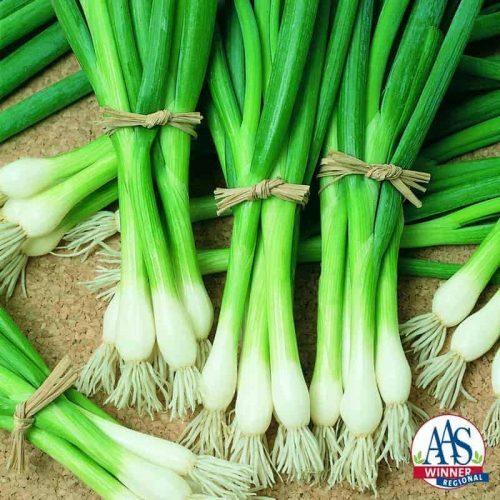 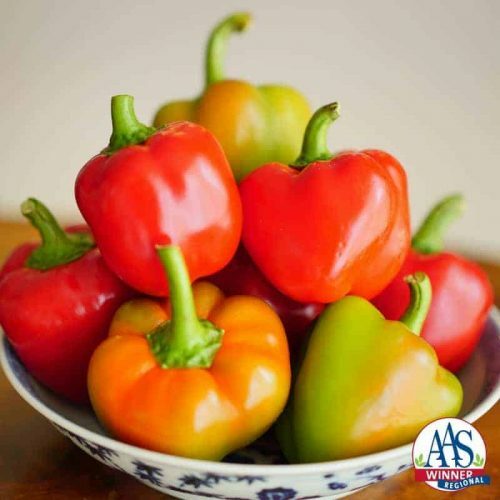 Growers will benefit from the early bloom time, compactness in the greenhouse and plant uniformity.